Handmande in the Nepal Himalaya using hand-harvested Wild Himalayan Nettle and Wild Hemp. 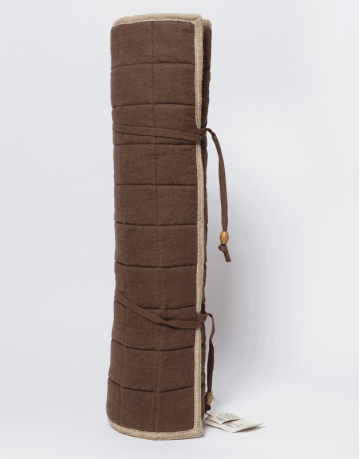 These Wild Nettle yoga bags are made to last and provide a sustainable, eco-friendly way to carry your yoga mat. 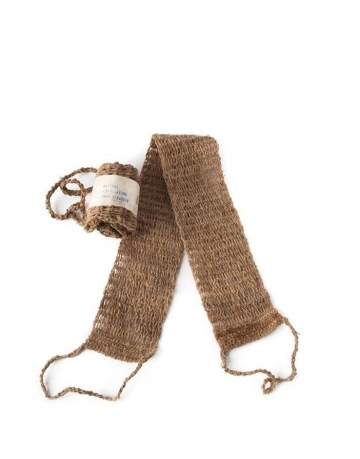 Nettle fabric has the amazing characteristic of becoming softer the more it is used. 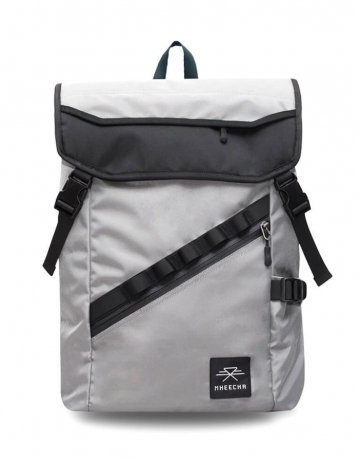 This, along with its high durability, means you’ll have a great bag that just gets better! 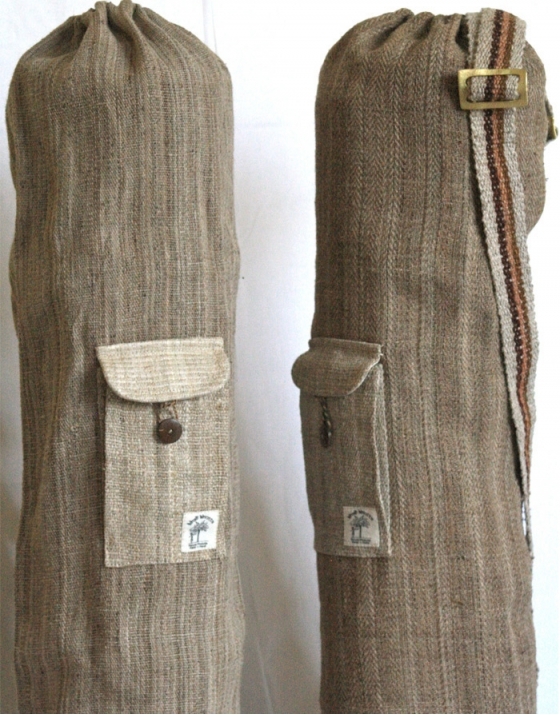 The fabrics used for these bags is made with hand harvested, handspun and processed wild nettle and wild hemp. The fabrics are washed without the use of bleach to allow the material's true colours and character to shine through. 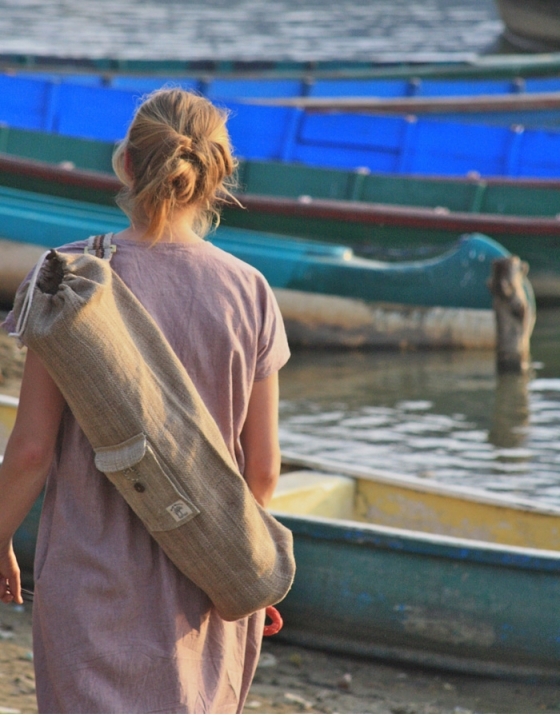 These yoga bags are designed to fit any yoga mat and have a small buttoned pocket for your mobile phone and keys, a draw string closure at the top and a simple, adjustable carry strap with handmade brass buckle. 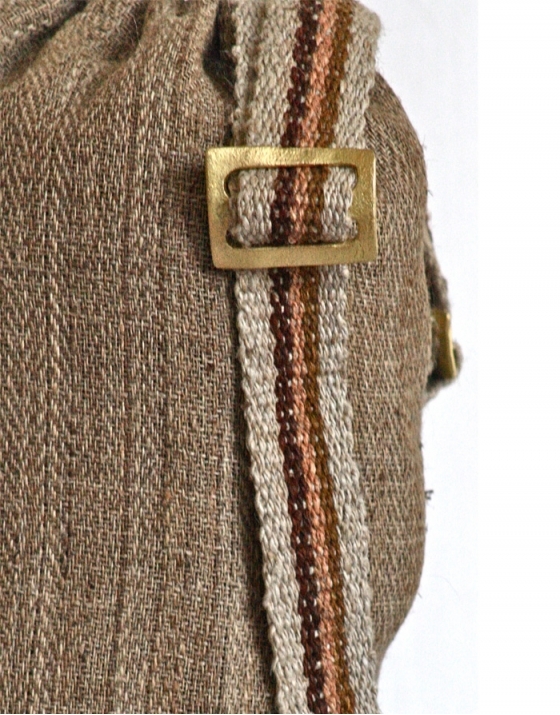 MATERIALS: 100% wild nettle, cotton draw string and wild nettle carry strap,brass buckle and coconut button. MEASUREMENTS: To fit any yoga mat of no more than 71cm width and 16cm rolled up diameter. Use a gentle wash cycle or hand wash and use gentle soap powder or liquid. Do not machine dry as the material may shrink. We recommend line drying or using a drying rack. We also recommend that you don't use bleach. We recommend using soap but to clean any natural fibre fabric as it is mild and non-damaging to the fabric, but effective at removing dirt. Unprocessed, Nepali soap nut is also available click here for more info.